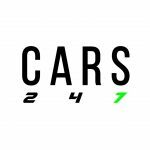 As GoldRush Rally 2017 9ine officially hits the history books we recap the Rally and the awesome shots taken by our guy Ted7 along the way. 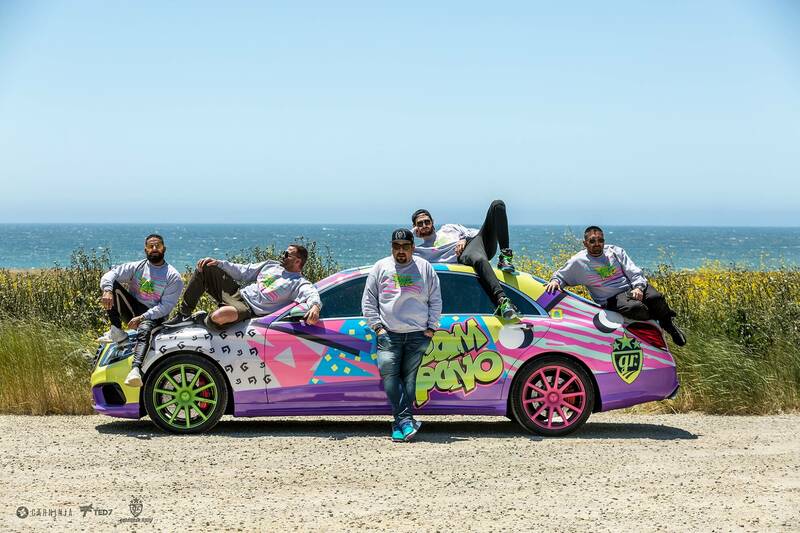 Team Pavo showing us what the Rally is all about – fun, style, views, and awesome cars. 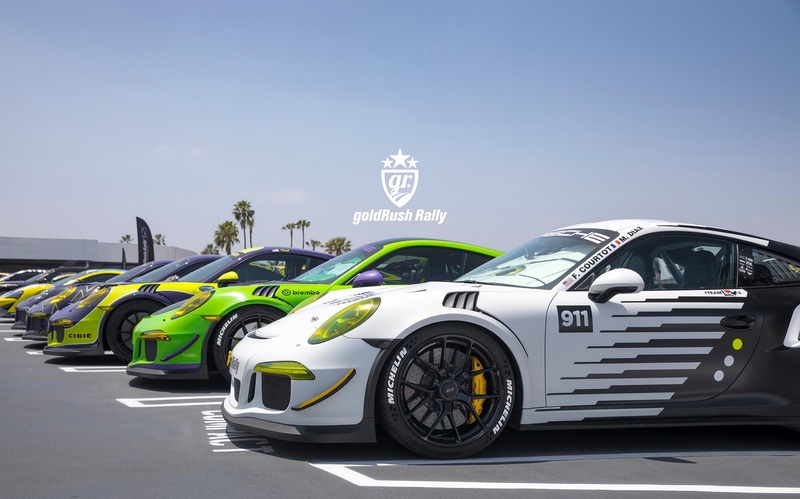 From the sunshine of California at the Peterson Museum in West Holywood to the snowy peaks of Wyoming at the Grand Teton National Park – this is what makes the GoldRush Rally a special event. 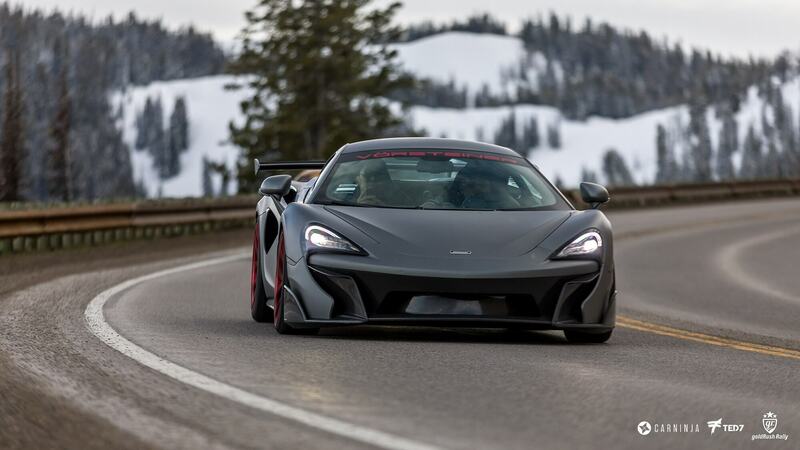 The landscapes equally as breathtaking yet so different provide a backdrop rarely rivaled on a week long rally. 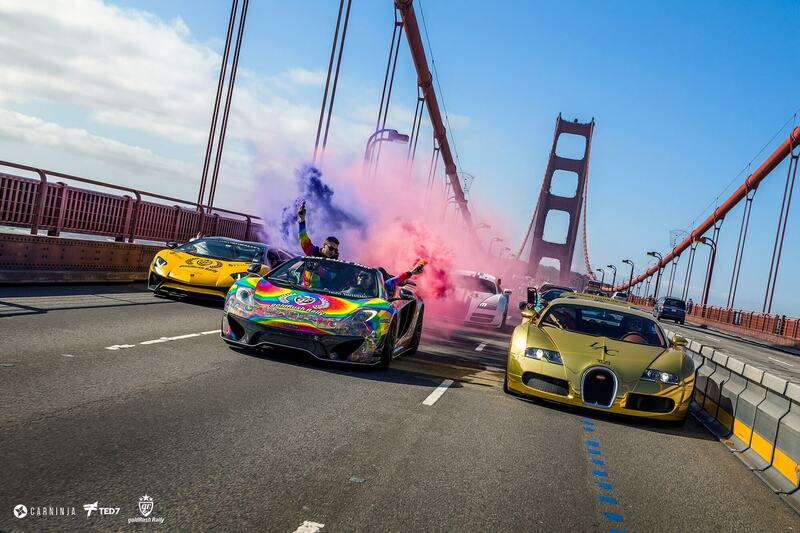 As the convoy headed into San Francisco it produced one of the best GoldRush Rally moments as it crossed the Golden Gate Bridge. Click here for more shots. 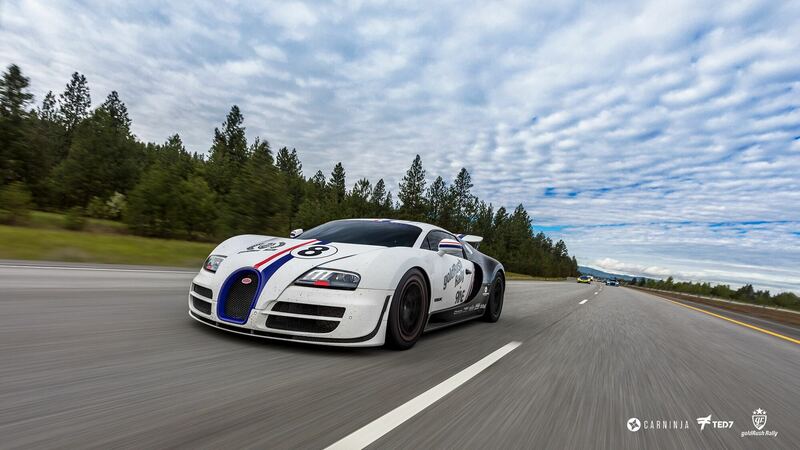 Look out for the Veyron trying to dodge the smoke as the 10 radiators try to cool the W16. After San Fran the rally headed inland across the states of Oregon and Washington stopping at Oregon Raceway Park. 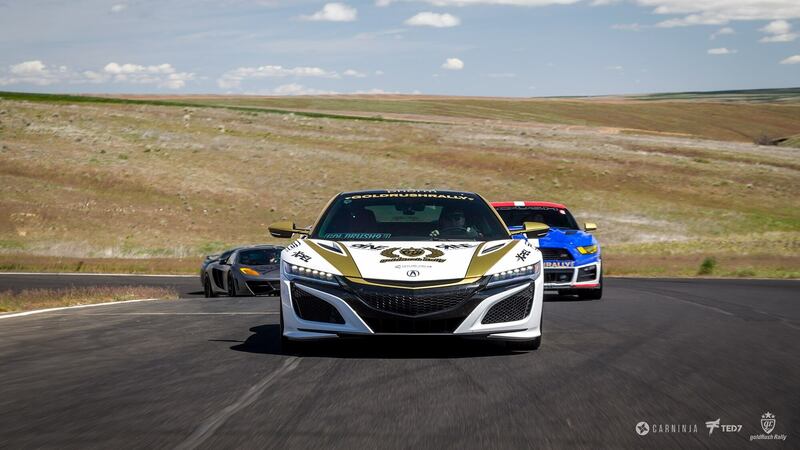 The latest NSX a perfect choice for some mid-rally track action. 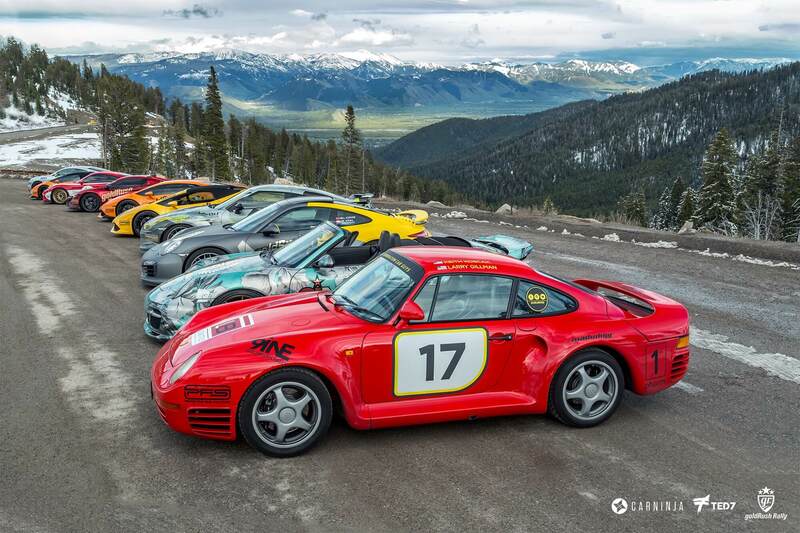 GoldRush Rally 2017 then headed to Utah and finally concluded in Las Vegas this Saturday. 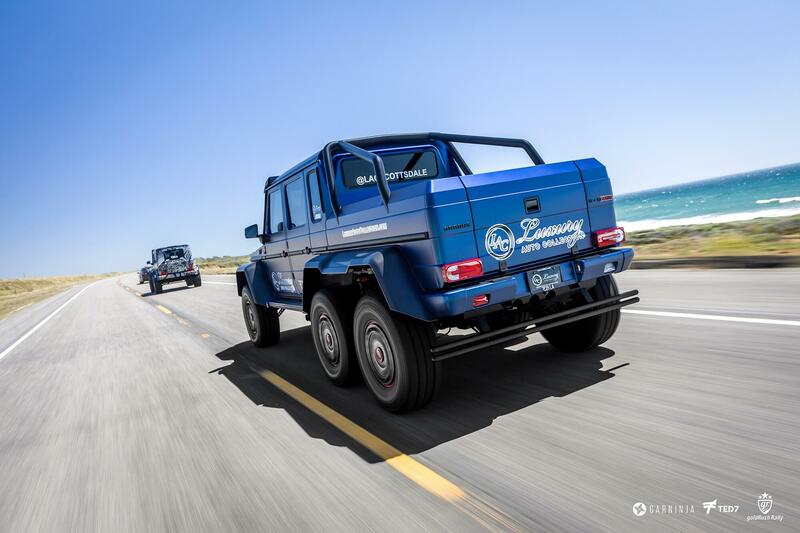 By this shot, it seems a good time was had by all. That Panda certainly seems happy. 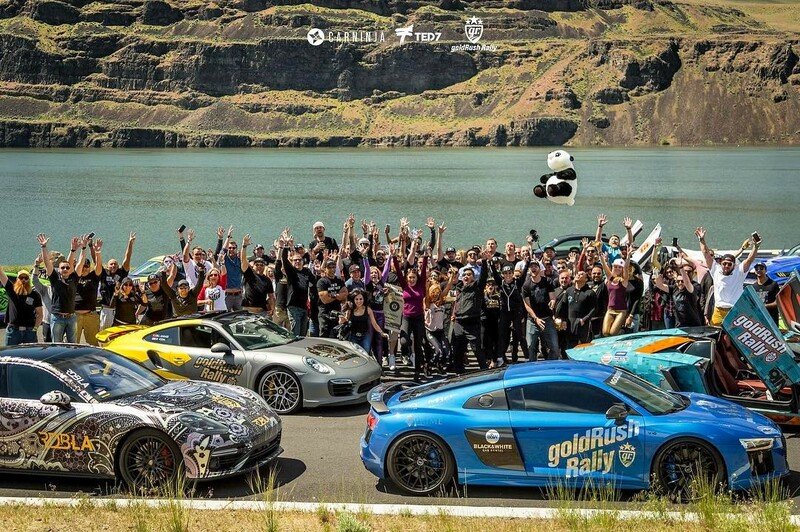 Who just put the Goldrush Rally on their bucket list?